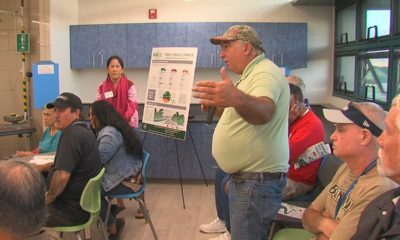 Footage shows the lava burning through tall albizia trees as it slowly advances on Pahoa. 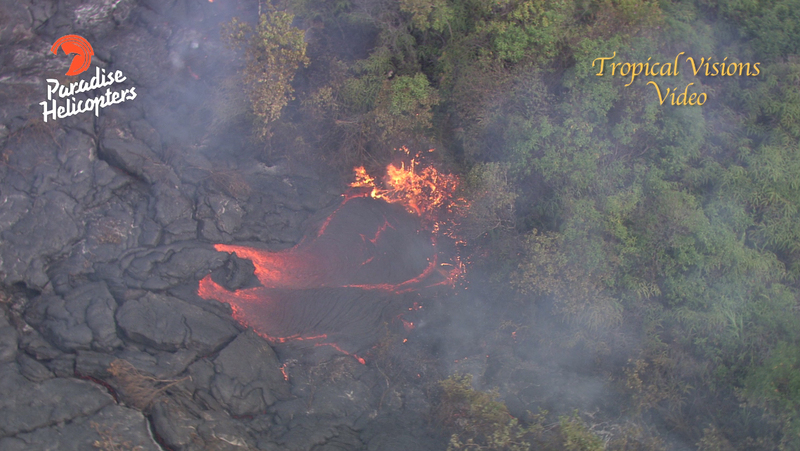 (ABOVE VIDEO)Friday morning lava overflight video taken by Mick Kalber of Tropical Visions Video aboard Paradise Helicopters. 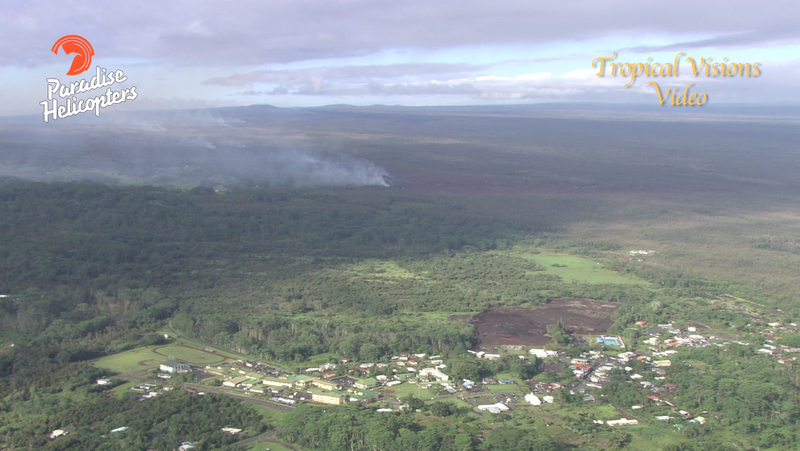 The lava flow front has moved about 300 yards downslope over the past two days. The narrow flow front is about 230 feet wide. The current flow front overtook the stalled front earlier this week. 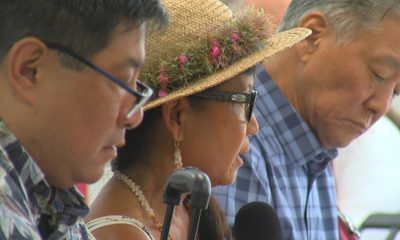 The leading edge is now about 1.2 miles from Apa`a Street, and 1.9 miles from Pāhoa Village Road. After a stall last week, the flow front is moving again, although slowly. 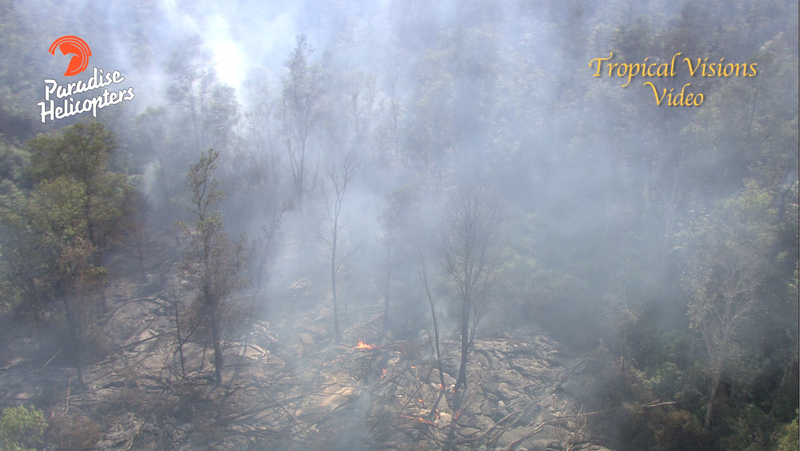 Today, the lava moved into some forest along the south edge of the front. 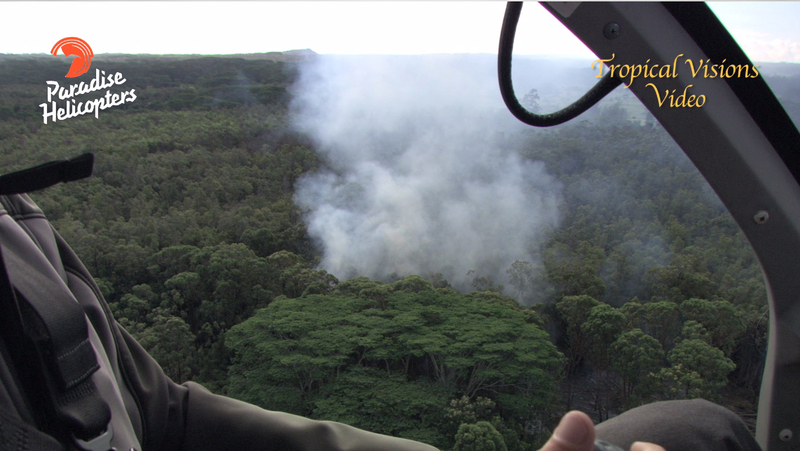 Overflight video by Mick Kalber (above) shows the lava burning through ohia and tall albizia trees. Today’s activity produced a significant amount of smoke. 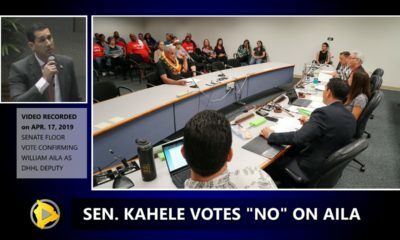 The USGS Hawaiian Volcano Observatory observed deflationary tilt at Kīlauea’s summit yesterday. Last week’s stall was coincidental with deflation at the summit. 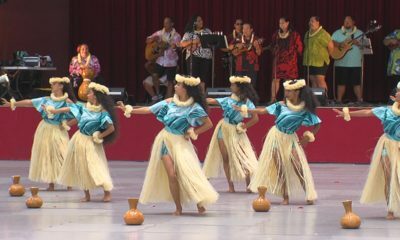 Activity returned a few days after summit inflation returned. Volcanic Activity Summary: The June 27th flow remains active, with a narrow flow about 70 m (230 ft) wide moving about 270 m (300 yards) downslope over the past 2 days. The leading edge is 2.0 km (1.2 mi) upslope from Apa`a St. and 3.0 km (1.9 mi) from Pāhoa Village Road, and it is approximately 16.7 km (10.4 miles) straight-line distance from the vent. Our next overflight is scheduled for Monday. 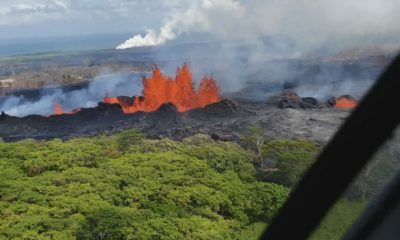 [Lava flow] The narrow flow that overtook the stalled flow front earlier this week has moved about 270 m (300 yards) downslope over the past two days. The leading edge is now about 2 km (1.2 mi) from Apa`a St.
[Lava flow] The June 27th lava flow from the Pu‘u ‘Ō‘ō vent is active, and lava is being supplied to the flow front, which is slowly advancing downslope toward Pāhoa. USGS HVO: This map uses a satellite image acquired in March 2014 (provided by Digital Globe) as a base to show the area around the front of the June 27th lava flow. Surface activity comprised of Pāhoehoe toes and lobes were scattered across the leading edge of the flow. 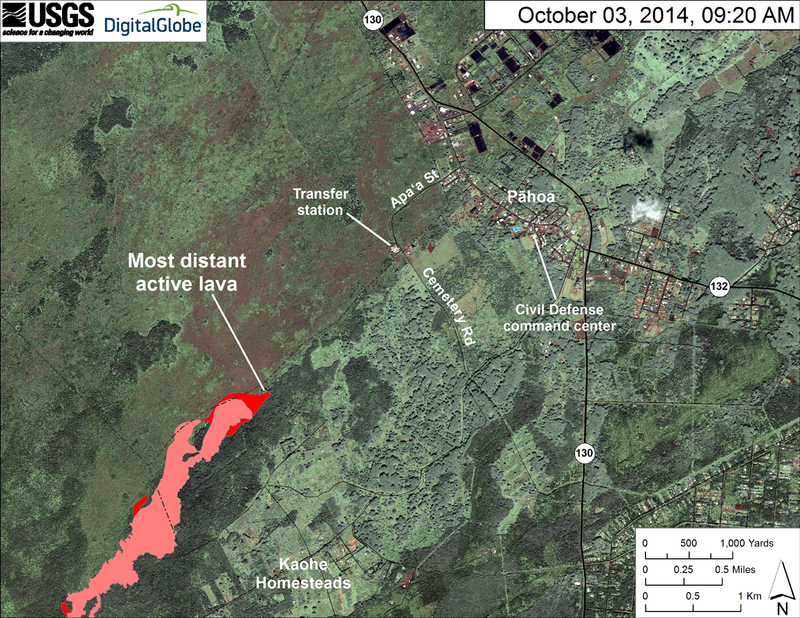 Lava continued to advance downslope and extended the front by about 270 m (295 yards) since Wednesday, October 1, 2014. 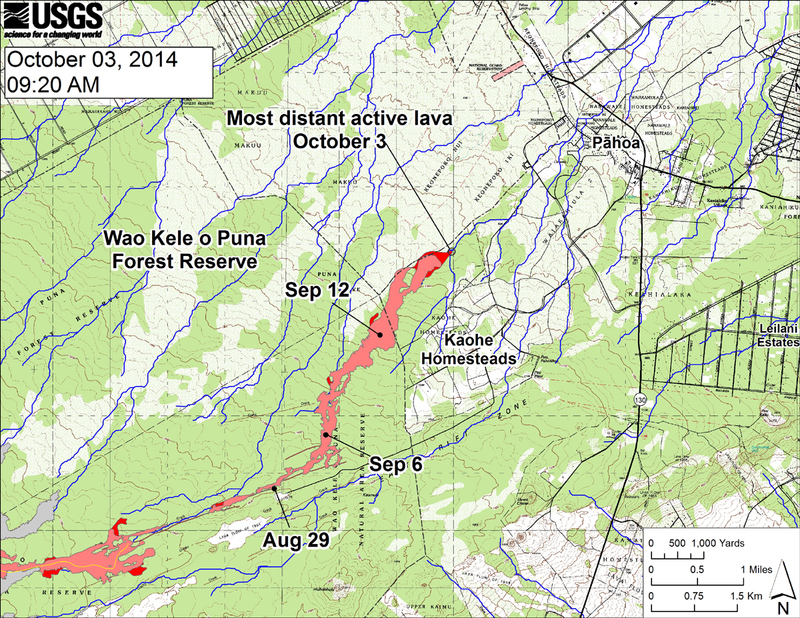 USGS HVO: This large-scale map shows the distal part of the June 27th flow in relation to nearby Puna communities. The black dots mark the flow front on specific dates. Small breakouts were scattered across the leading edge of the flow today. Lava continues to advance downslope and extended the front by about 270 m (295 yards) since our October 1, 2014 over flight. 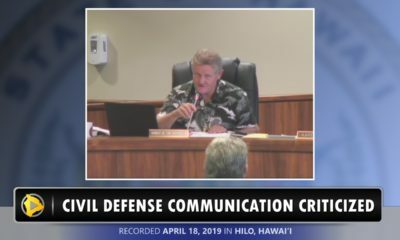 Several breakouts were also active along the margin of the flow upslope of the leading edge and midway along the length of the flow near where lava first entered the crack system. The blue lines show down-slope paths calculated from a 1983 digital elevation model (DEM; for calculation details, see http://pubs.usgs.gov/of/2007/1264/). Down-slope path analysis is based on the assumption that the DEM perfectly represents the earth’s surface. DEMs, however, are not perfect, so the blue lines on this map indicate approximate flow path directions.